A few months ago I stopped providing monthly updates. The reason is that I am already providing monthly updates on the NinjaOutreach blog, and it was just getting tedious to write both of them, given that largely they were quite similar. Afterall, NinjaOutreach is the only project I am working on right now (what a relieve!). However, I wanted to provide a 6-month update on the project for those who were interested in reading, but do not regularly follow the NinjaOutreach blog. The angle that made sense to me today was none of than progress. It gives us an indication that what we're doing is working. Often, I can't really track back our results to my specific actions - we just don't have that level of data accuracy. This is a bootstrapped startup, not HubSpot. At a minimum, however, if I can see progress, I have a general idea that what we're doing is working. It gives us motivation to keep going. There is a lot of spinning your wheels in startups. They're a grind. Seeing progress, monthly, let's us know that we're not just wasting our time and it allows us to see the future for what it could be - bright. Therefore, I wanted to focus on the progress that we've made over the last 6 months, as well as show you in what ways I even measure progress. Note - in some cases I will choose to hide specific numbers. This is a business after all and there are competitors. 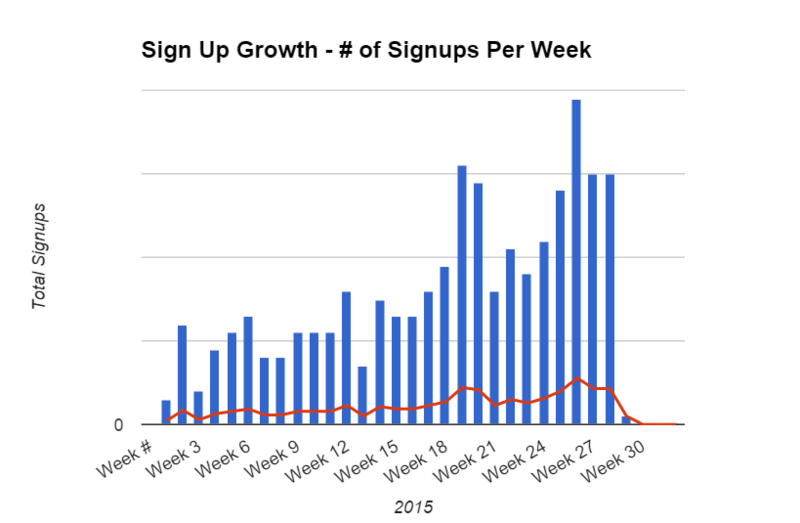 Probably the biggest thing I have been focusing on over the last few months is increasing the number of daily signups. Why has this been my biggest focus? Firstly, you need sign ups to make money. Sign ups eventually become paying customers, so it's pretty far down the funnel, and I think it's important to focus on bottom of the funnel metrics as best you can, because they have a direct impact on the bottom line. Secondly, a lot of testing simply requires users. That is, if we want to know how our onboarding experience is, and what we can do to improve it, we need users to actually go through it. If we want to see what people think of our product, what features they like, and dislike, we need people to use it. Yes, you can do this relatively easily by simply giving it out for free or having a freemium version, but the problem is that the opinion of people who aren't paying for the product, or who at least have not signed up for a trial which could lead them to pay, can be very misleading. We want to focus on criticism from people who at least have an intent to pay. Therefore, I have been focusing on a combination of driving traffic to the website AND converting it to signups, as you'll see below. So where are those sign ups coming from? Of course that probably seems obvious, but it isn't. Many businesses, most in fact, don't really get customers from their websites. They have brick and mortar stores or they're higher end enterprise businesses that don't really convert customers online. But for NinjaOutreach, where the sign-up process is completely no-touch, it's definitely important to drive traffic to the website. I already discussed the main traffic generation methods we've been using above. This isn't necessarily because we believe these are the best, but they play to our strengths and our budgets. Going further, in fact, we want to test out webinars as a means to drive traffic and signups. Overall, we've been able to increase our traffic about 3x over the last 6 months. You can see there were some big spikes, which where posts that did exceptionally well, followed by plateaus. We're on a plateau right now, and I'm not sure how or when we'll get off it, but we're working on it. I'll be the first to admit that the original website we had was...embarrassing. OK, it wasn't that bad, I guess, but for someone who calls himself a marketer, it had a lot of issues. Mainly, it was cluttered. There was too much text and no real user flow. 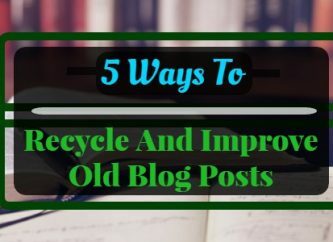 The copywriting was also really poor and a lot of people came to the website and really didn't understand what the product did and who it was for. I'll never claim to have a perfect website, but it's come a long way. We've spent time optimizing the home page and the pricing page. We simplified them, made clear call to actions and value statements, and just improved the design. 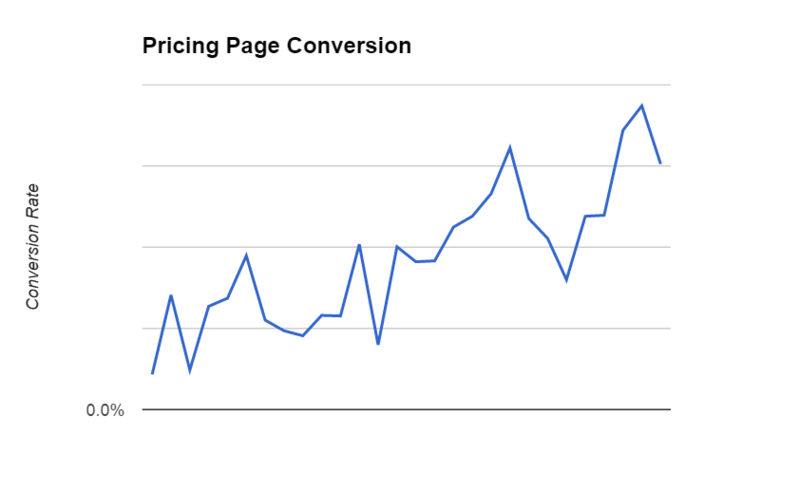 The result has been a significant increase in website conversions, especially on the pricing page itself. Here's how it looks over time. The biggest thing of all is the product development. The product has come a long way in 6 months. Remember, back in January we have a clunky desktop app. It was barely enough to go commercial with. The design was horrible. The performance left a lot to be desired. The results were inaccurate. I was embarrassed to do demos with it, to say the least. Now we have a shiny new web app, with a lot of neat functionality and development is happening at a much faster pace. We're pushing out big features bi-weekly. I honestly believe in 1-2 months we will have a product that is very much equal, if not better, than competitors who have been around for 4+ years. Now, measuring product improvement is a bit trickier. Of course I know when features are being added, but how does this translate into metrics? Free trial to paid conversion has more or less been steady since we started, until July. July hasn't finished yet. We won't know the full numbers until mid-August, because there is a two week free trial, but from the signs I've seen so far, I think it's going to be a decent uptick of 5-10% absolute over the last few months. That would be huge going forward, since it's a direct correlation with revenue. While the churn still needs work, I think it lags about 2 months behind engagement. 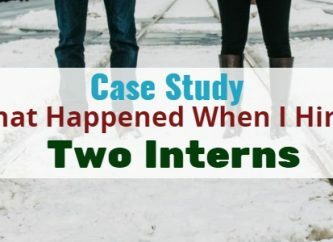 The reason is that it's the July cohort who is really experiencing the benefits of our recent product development, whereas the May cohort essentially has given up on the product and cancels, without seeing the improvements of the last two months. So, we haven't seen our churn go down yet, but I think it will be the last metric to fall into place. So that brings us to engagement. For awhile, it was relatively steady. What this meant is that old users were becoming unengaged at about the same rate as new users were joining the app and engaging with it. However, since July, we are seeing a lot more activity in the app. 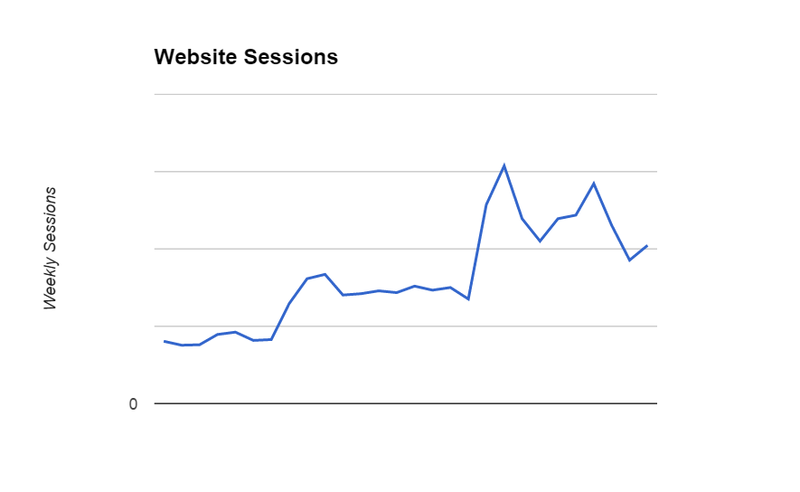 People are spending more time on the different pages and appear to be visiting it more often (more weekly sessions). Getting people to come back to the app is really where the engagement is at. So here's a graph. Note, this is pageviews on the app. True engagement should be normalized per user, like pageviews/user, but I don't have that yet. So although this is biased by our growing user base, I can tell you it is going up faster than we are adding people. Qualitative measurements are the last ones I consider, but they should not be ignored. These play into my overall feeling that simply more people are starting to notice us. We're building a brand. I get this feeling via mentions on blogs, emails sent to me, and phone calls. 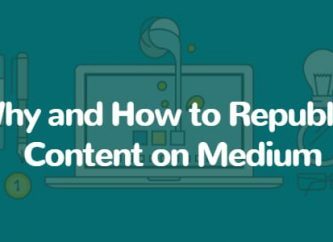 An example would be a recent phone call I received, whereby the person had been referred by Majestic SEO, which is a major player in the internet marketing space along with Moz and Ahrefs. Additionally, just this last Saturday, I received two business phone calls. Not that I love getting phone calls on a Saturday, but that's a sharp increase from where we were at 6 months ago, when my phone was largely silent. More interesting is perhaps the nature of these phone calls, where people are basically asking how we compare to our competitors, meaning that we do compare to them and the difference between us and them is nonobvious. So there you have it. NinjaOutreach is making real measurable progress. Yes, it still has a long way to go, but the outlook looks positive based on the improving metrics. Right now, the business is not profitable, based on the money spent on development every month. But I think that will change by the end of the year, and I think it is possible to cross the monthly recurring revenue threshold of $8,333 that will turn this into a 6 figure business. If not by the end of this year, definitely by next year, barring any crazy mishaps (though you never know with a startup)!